The Granite Falls Hydro Dam. The Minnesota River in Granite Falls, MN, is the site for a recently funded study to determine whether a whitewater park would be feasible for a 3-mile stretch beginning at the Granite Falls Dam and ending downstream at the Minnesota Falls rapids. On Monday, September 21st, the Granite Falls City Council unanimously voted to match Granite Falls Riverfront Revitalization’s contribution of $10,000 by committing $5,000 of city funds and $5,000 of Economic Development Authority funds to hire John Anderson Architect, LLC and The Shimoda Group, both affiliated with the McLaughlin Whitewater Design Group. The $20,000 study over a 7-week period will explore the possibility of a whitewater bypass with dam safety enhancements at the operational Granite Falls Hydro Dam. 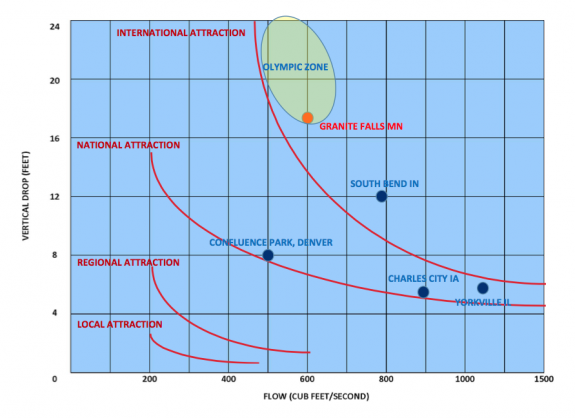 According to analysis by the McLaughlin Whitewater Group of Colorado, the geographic drop in elevation and rate of flow provide rare tools necessary to create a first-class attraction. A whitewater park is an in-stream or enclosed waterway that is engineered to create rapids and water courses that can recreationally be enjoyed by a number of different water crafts. The development of a whitewater park in Granite Falls would include modifying a portion of the dam while allowing the rest of the structure to stay intact. The study would also look into integrating a fish ladder or passage. A fish passage would benefit shovelnose and lake sturgeon, paddlefish, walleye, flathead catfish, and sauger – in addition to many mussel species. 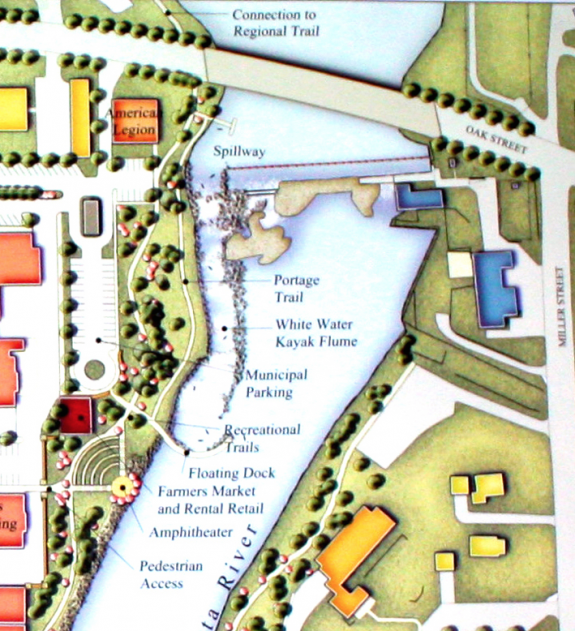 Whitewater park rendering from the early 2000s that was developed during Granite Falls’ Flood Recovery Project. CURE believes that a connected river is a healthy river. Dams block a river’s flow and can interfere with clean water, fish and wildlife, and recreation opportunities. The integration of a fish passage at the Granite Falls Dam would provide an important connection in the Minnesota River. This whitewater park study brings us one step closer to reconnecting a healthy Minnesota River. In 2013, CURE partnered with others to have the Minnesota Falls Dam on the Minnesota River removed. 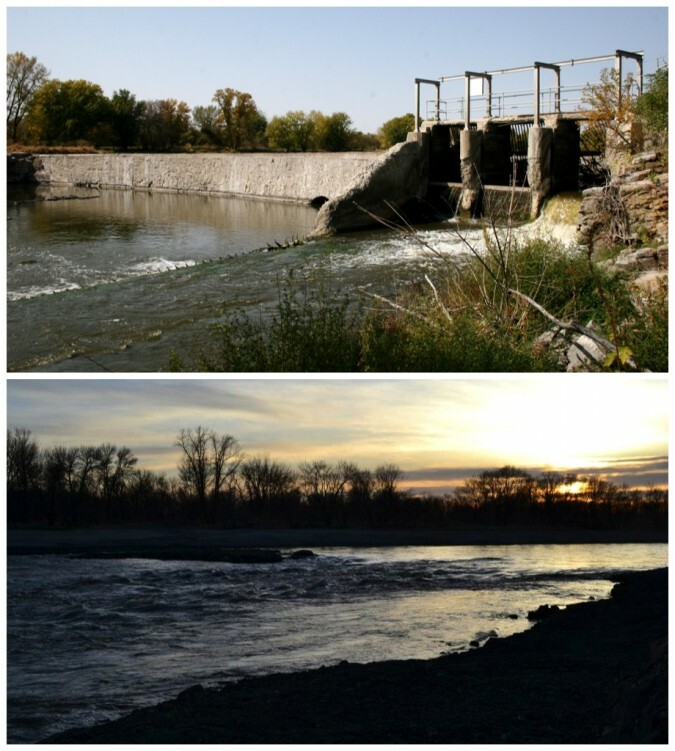 The open river flow due to this dam removal has positively impacted the health of the Minnesota River.